CLICK HERE TO REGISTER FOR ACADEMY DAYS! You'll enjoy great music, participate in sporting events, visit excellent classes, and worship with new Adventist Christian friends. Over $50,000 will be awarded in scholarships to those with abilities in spiritual leadership, academics, music, and athletics. Make plans now to attend with your family and invite your friends! 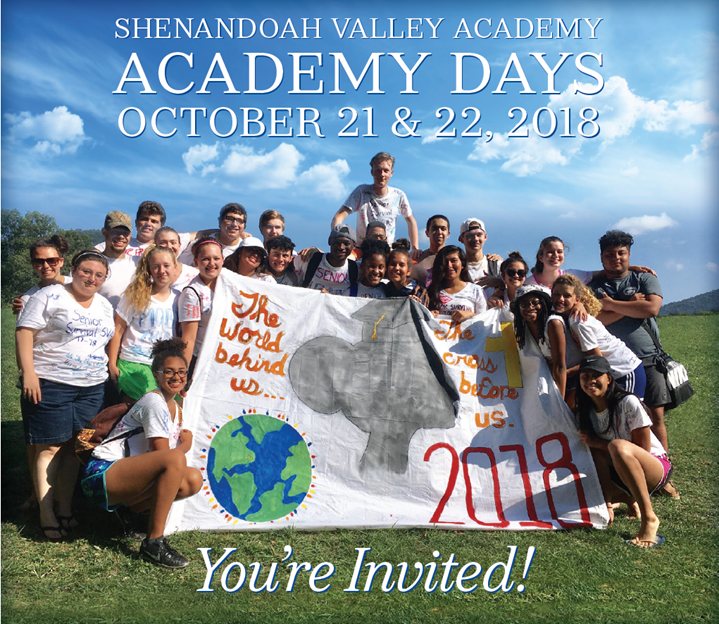 Shenandoah Valley Academy, established in 1908, exists to provide a distinctly Seventh-day Adventist college preparatory program through experiences to produce disciples of Jesus who are compassionate citizens prepared for college and careers. At SVA you will have opportunities every day to be with your best friends. You will play sports together. You will sing together and perform in one or more of the five touring music organizations. You will work and study with a diverse group of students from around the world. 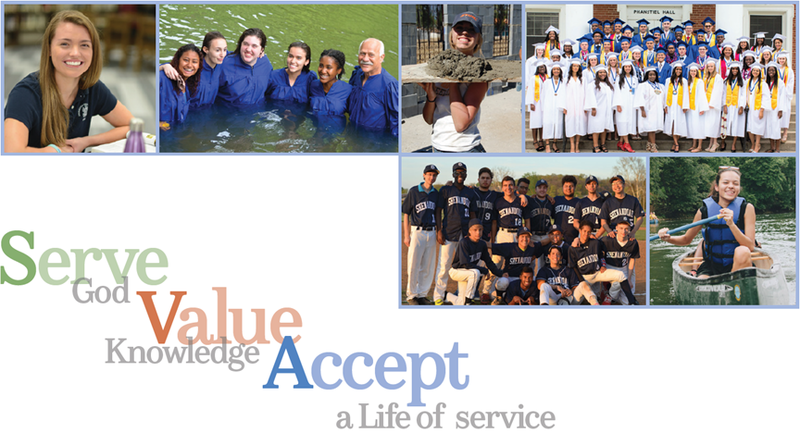 At SVA you will build quality life-long Christian friendships, be immersed in quality college preparatory academics, learn self-confidence, and build self-esteem. You will have multiple opportunities to develop a healthy life-style and fitness program. You will be prepared for college and career with a plan for life -- based on your aptitudes and interests. You will be prepared to Accept a Life of Service. You will be invited to embrace the life of happiness and abundance that God has planned for you as you serve Jesus in your career, your community, and your world.